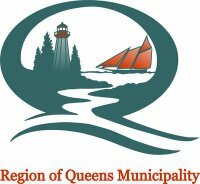 In 1987, the Bowater Mersey Paper Company established a 54 acre community park at Pine Grove in recognition of Queens County's designation as the Forestry Capital of Canada for that year. Walking trails are gravel and vary in width. Watch for tree roots on trail surfaces. 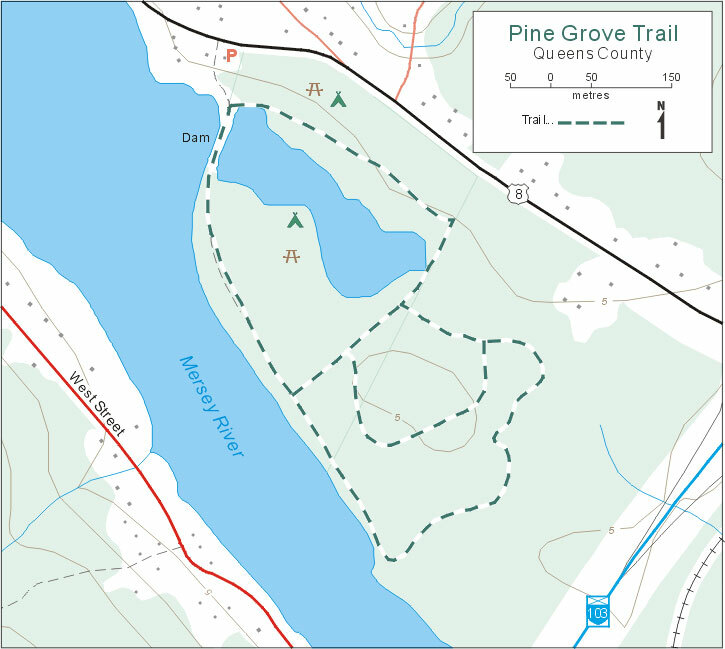 The trails connect major points of interest to the scenic picnic area overlooking the Mersey River. At the picnic area you will find picnic tables, a fireplace, and an artesian well. Families and groups often gather here. The marshy cove area in the park has been designated as a duck breeding and resting area in cooperation with Ducks Unlimited. Significant Features: Breeding, feeding, and resting site for black ducks and teal. Spectacular rhododendron and azalea gardens, stunning views of the Mersey River. Trail Length: 1.6km with a multitude of loops within the Park. Ability Level: Trail elevations vary with moderate slopes and some stairs depending on the chosen loop. All skill levels. For your comfort and safety: Wear appropriate clothing and footwear for the weather conditions. Please note that the trail is not cleared in winter so ice may be a concern. Please stay on the trail path, especially during duck breeding season, and leave only footprints. Do not approach, disturb, or feed any wildlife you may encounter. Pets should remain on a leash and it is asked that you pick up after your dogs. Please do not pick the flowers. Visitor Services: Washroom facilities are available at the trail head. There is a picnic area with fireplace (please respect any fire bans that may be in effect). There is a swimming beach available, however no lifeguard is on duty.